Animalcouriers’ pet quarantine services are based on our expertise in this area, our familiarity with the regulations and our Defra-approved custom-fitted quarantine vehicle. We can arrange quarantine services for your pets travelling to the UK if for any reason they don’t qualify for PETS (the pet passport scheme). We can also help you understand and comply with import regulations that may apply in other destination countries. 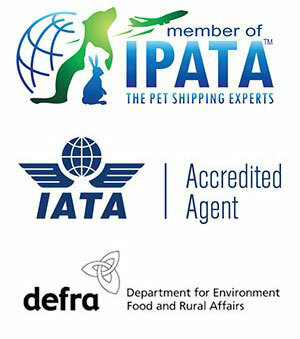 Animalcouriers is a Defra-authorised quarantine carrying agent and our custom-fitted quarantine vehicle is fully certified by Defra. See our certificate. Find out more about quarantine requirements from the Defra website. Our quarantine services will also fit the bill if you’re using the UK as a transfer point, for instance, for an animal that’s travelling from Europe to New Zealand. Depending on the situation there may be a legal alternative to UK-based quarantine kennels for animals without a valid pet passport. We can discuss these options with you.